Very Long Chronicles: What do you like to do? - sew, experimentally. which means I do not possess the discipline to use a pattern. - talk about music, particularly with Jeremy, Meilani, Becca, and a few others I may list if they express discontent at not being on this list. right now I am loving Lightning Hopkins and Caravan Palace. - drink coffee, alone, and with people. and in the morning, and the evening. and during the week, and on the weekends. - make and take pictures. - read Jorges Luis Borges late on Friday nights when everyone is asleep, and there is little light, and no sound except Sigur Ros gently seesawing from the next room. - read. 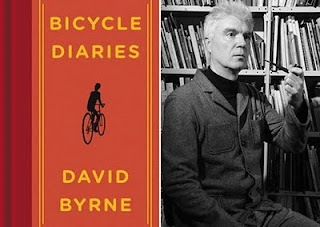 right now I am finishing Bicycle Diaries by David Byrne. it is a terrific adventure memoir about his musings from around the world, as seen from his...bicycle. - plagiarize Meilani's blog when she has good ideas, which is frequently. - this is a good start. I am never bored, ever. I don't think it's plagiarism if I give you permission. So you have permission to use (notice I didn't say "steal") my idea. Now the Plagiarize Police won't come after you. Thank you for thinking I have good ideas. I enjoyed your list. Please make more.